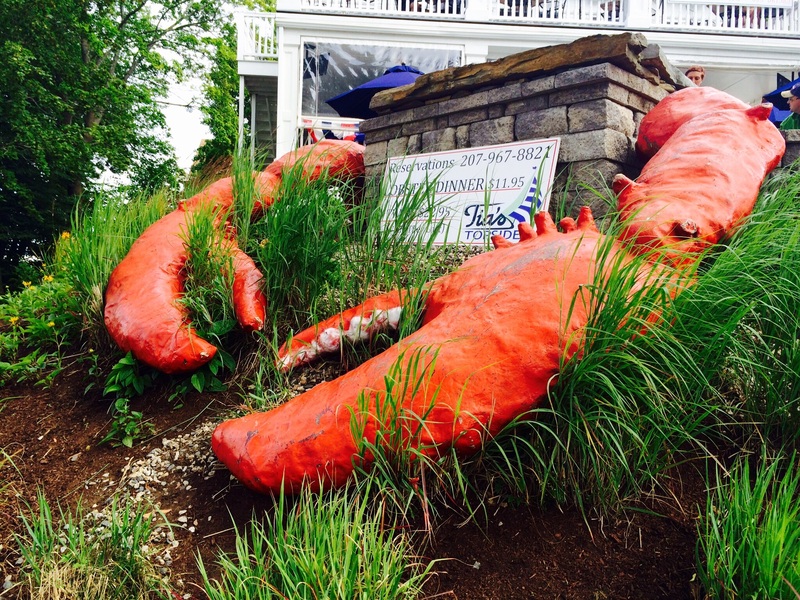 It’s the peak of the summer season along the coast of the great state of Maine. My friend, Lee, recently bought a second home in Kennebunk, and it was all the excuse I needed to head up there and check out the town I visited with my parents during my childhood. My trip was less about the Lithuanian Franciscan monastery my parents would make a point to visit, and more about hitting every bar and restaurant we could in a 24-hour period. I arrived at lunch time and we went straight to David’s KPT, one of several restaurants owned by chef David Turin, who owns others in nearby Portland. I ate at the original David’s in Portland a few years ago and was not impressed, so it took a little coaxing to get me to come here. 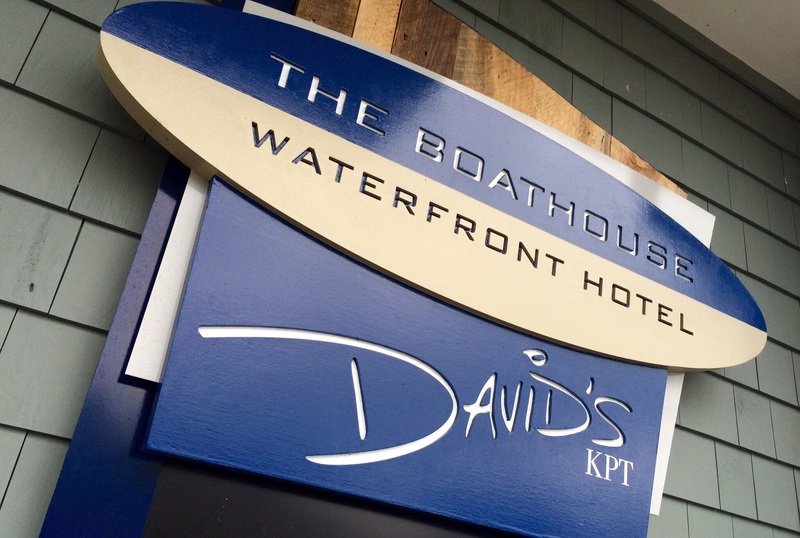 David’s KPT menu is simple, basic seafood, and for a restaurant on the water with great views, that’s about all you need. Nothing particularly creative here, just the basics, like fresh oysters but a rather bland lobster salad. Its key location also makes it a tourist trap and they jack the prices up, so some oysters go for $3.50 each! I don’t even pay that in New York City. After lunch, we took a ride along the beautiful rugged Maine coast, passing the Bush family compound and the line of cars parked on the road with people taking snaps of the house for their scrapbooks. 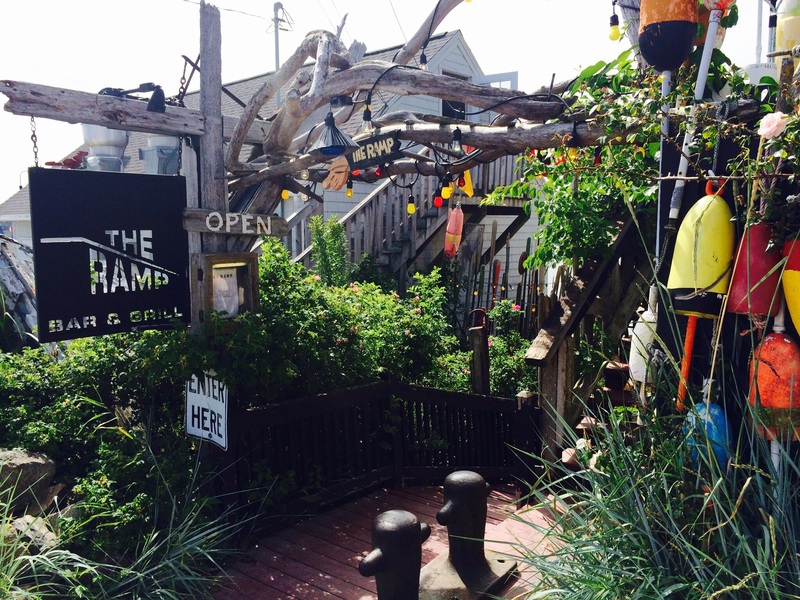 We stopped In Cape Porpoise, still a part of Kennebunkport, at a funky joint called The Ramp. On the water, The Ramp is crowded and noisy, with old posters and souvenirs on the walls and ceiling, ranging from a NYC World Trade Center subway station sign to a “Vote for Marcos” campaign poster from the Philippines. We had to put our names on a list just to sit at the bar. But that was OK…we had a cocktail while waiting. By the time we finished our drinks and were ready to leave, our turn came up at the bar, so we handed our space off to the next person in line and moved on. Our lovely server at The Ramp. Notice photos of former Presidents behind her. 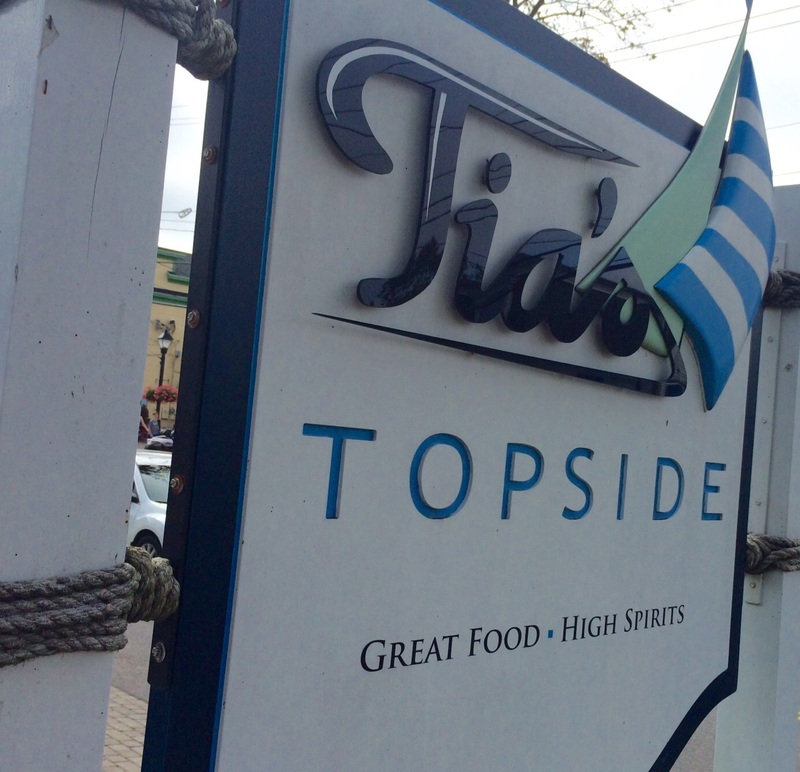 Back on the road, we drove into town, found a rare parking space on the street, and walked over to Tia’s Topside,with their signature giant lobster claws in the front yard. The menu was no great shakes, and it was clear the dude working the bar already had his fill of tourists for the season. No eye contact, just a “What do you guys want to drink?” That was a thumbs down in our book. Walking back to the car, we popped into Ports of Italy for a pop. Looking at the plates of the people next to me at the bar, it seemed like we stumbled into a local version of the Olive Garden. The website makes everything we saw look much better. But we passed on the food. Generic drinks. Clearly, the amount of drinks we had, and were still going to have, was going to be an issue, and Lee being the driver, was behaving to avoid any trouble with the law. Police are everywhere in Kennebunk, and they are notorious for pulling you over for even the slightest infraction. So we headed back to the condo to park the car and wait for the taxi we hired for the night to take us to dinner and beyond. 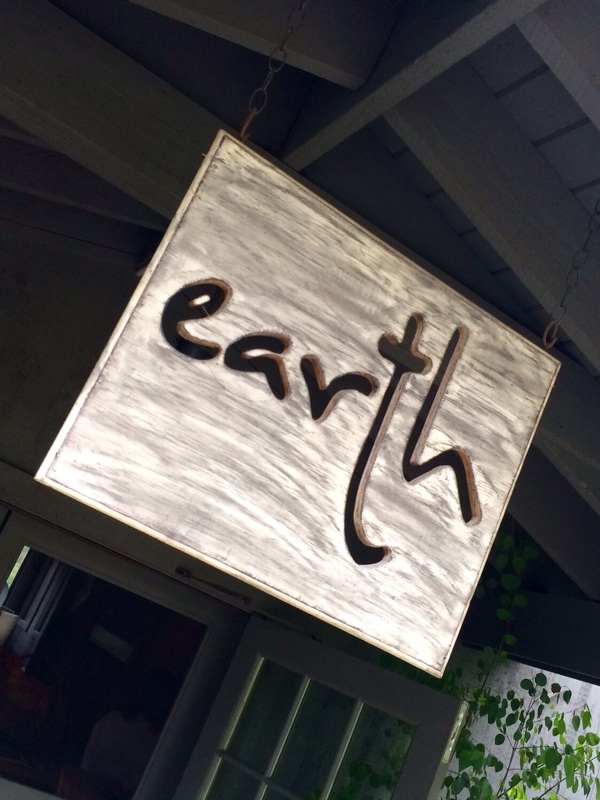 The culinary focus of the trip (I made reservations two months earlier) was Earth at Hidden Pond, a Ken Oringer restaurant in the center of a luxury resort just a short drive out of the center of town, hidden in the woods, surrounded by ridiculously expensive cabins. 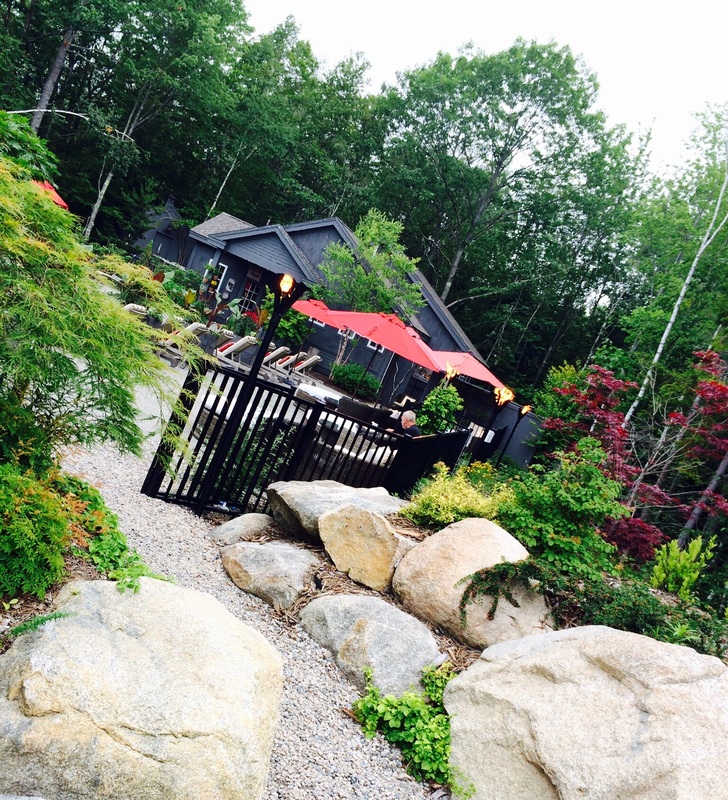 Outdoor seating, great atmosphere at night when they light the torches and the fires. Oringer is a crazy-talented chef, a Food Network “Iron Chef America” winner with a half-dozen respected restaurants to his name: Toro in Boston (personal favorite) and NYC, Clio in Boston, Coppa (excellent!) in Boston, and Uni in Boston. I was very glad to see that Earth lived up to my expectations. 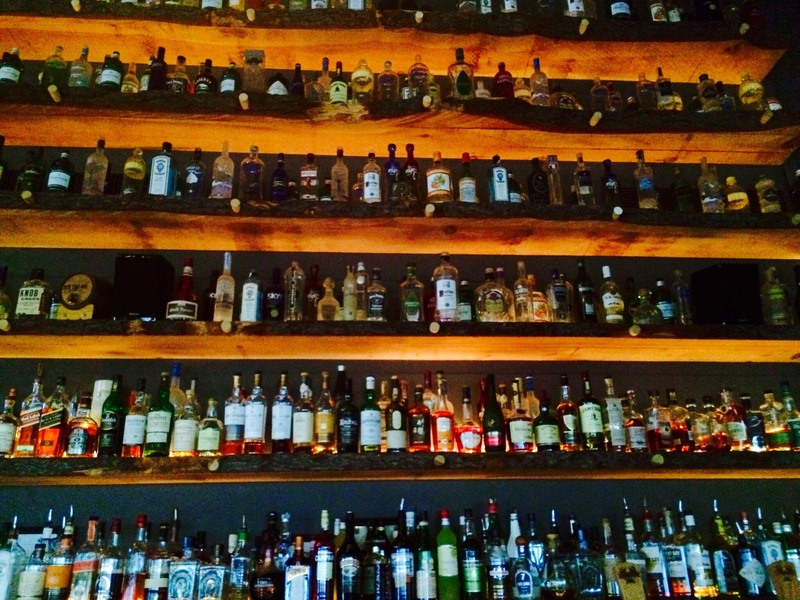 The well-stocked bar at Earth. Our evening got off to a slow start. It was a Saturday night, yet the main bartenders were nowhere to be found. (We heard that one was out due to a leg injury.) The woman that served us was great to talk to, but she clearly did not have a grasp on the crafting of the more complicated cocktails that Earth was known for. Our first drinks were good, but she literally had to read the recipes off a card to make them. And when I asked for Antica Formula in my Manhattan, she didn’t know what that was. Enter Josh, a young, energetic bar assistant, who saw this as an opportunity to show off his mixology skills. He jumped right in and offered us a cocktails he created, and we welcomed his refreshing enthusiasm. I can’t even remember the ingredients list he had for each cocktail, but we thoroughly enjoyed them, and he custom-crafted them if we didn’t like a particular ingredient. Snacks: meatballs, chicken wings with sesame and squid ink, shishito peppers. We started with a few apps, or snacks as they called them. The meatballs were good, average meatballs. 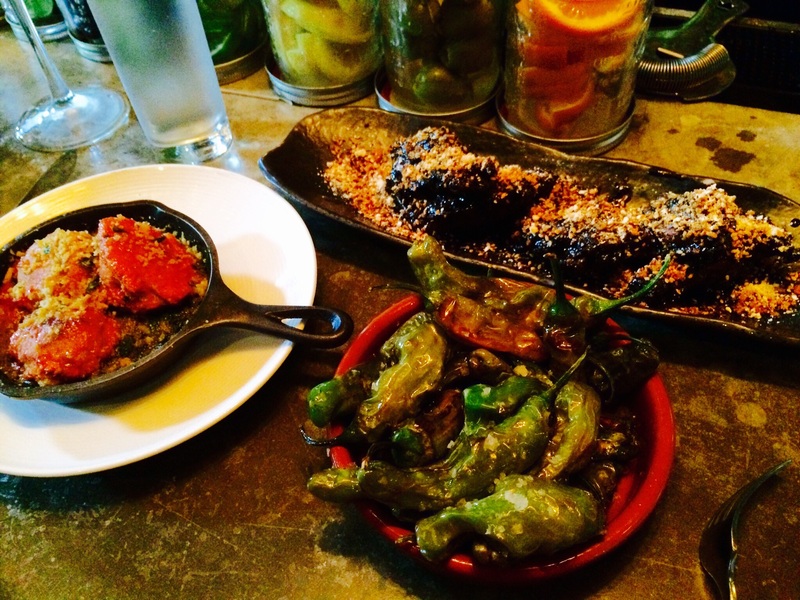 The shishito peppers, roasted and salted, are a Ken Oringer signature dish, also served at his Toro restaurants. Usually 1 out of 10 are hot, but we had more than a few spicy bites on our plate. The chicken wings with squid ink were incredible: sweet, salty, briny. Probably the best wings I’ve ever had, and I’m dying to figure out how I can make them at home. I had a chance to talk to executive chef Justin Walker, and after he explained the process in detail, it was obvious it wouldn’t be easy! A luxurious plate of seared foie gras followed. Couldn’t have been more perfect. But after the foie, we had a dilemma: We made plans to have the taxi pick us up from the restaurant at 8:30, giving us 2 1/2 hours to eat dinner. It was after 8 already, and we had to focus on leaving, despite the fact that we didn’t have an entree yet. Our bartender suggested perhaps a dessert, and we decided to order a second plate of chicken wings to end our meal! I was bummed that we didn’t give ourselves enough time to have a complete dinner. I suppose that meant we were having a good time and not just shoving food down our pie holes. It’s also my excuse to come back to Earth to “do things right” the next time! 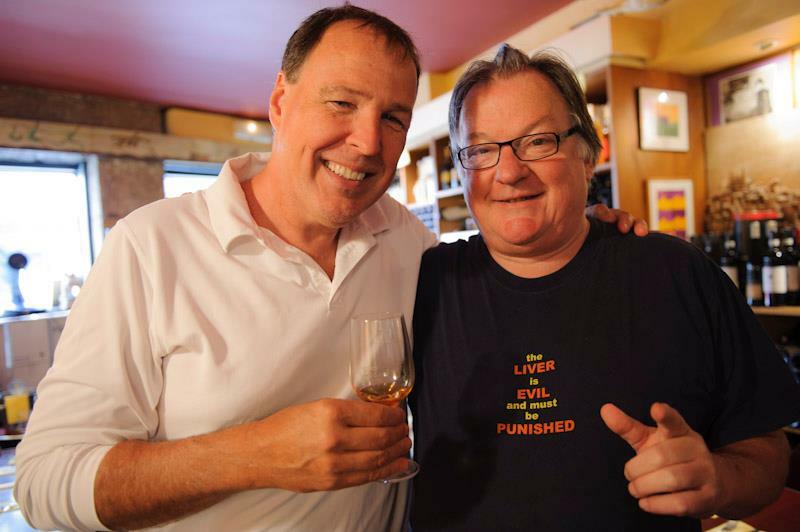 Our last stop was back in town at Old Vines, a wine bar that also serves great food. Though we were seated quickly at the bar and got our first drinks, it seemed like forever before we could get the attention of our female bartender who was far more interested in the other females at the bar than us two old guys. Hey, I understand that, but we wanted to order some food. It was only when the owner showed up that we were asked what we’d like to eat and by then we were told the kitchen may be closed. Fortunately, we ordered two cold dishes, so they were easy to prepare: beef carpaccio and a burata salad. Both were excellent. A cab ride home, and it was time to pass out. 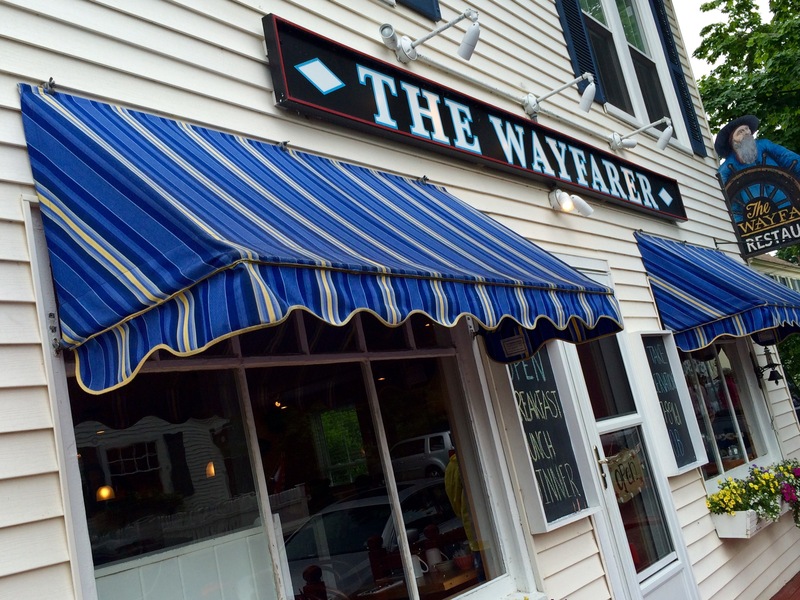 The next morning, breakfast was back in Cape Porpoise at The Wayfarer, a local favorite for years. Always crowded, we managed to find a couple of seats at the bar. 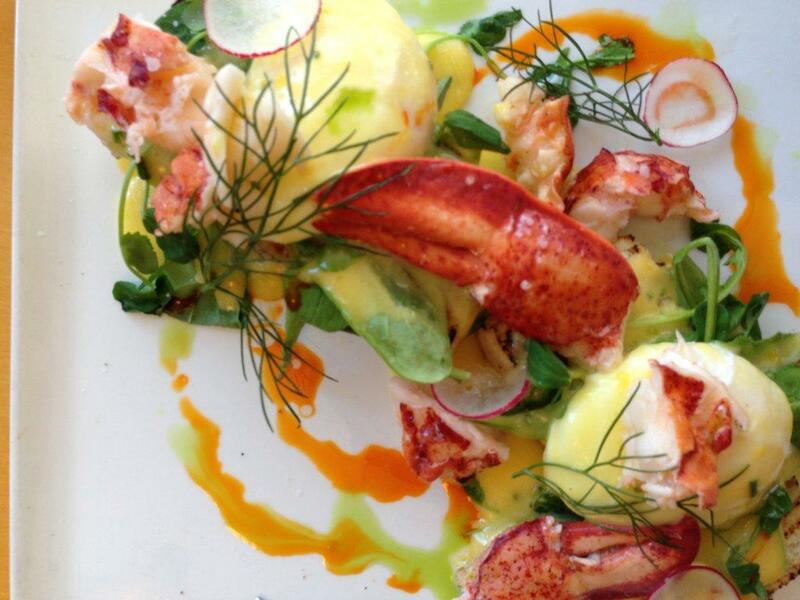 Crowded because the menu offers breakfast favorites with their own twist: a scramble of the day, housemade sausage, and interesting takes on standards, like lobster and pork belly eggs Benedict. The creativity of this dish was excellent, the execution not so much. Hey, I love pork fat, but the pork belly wasn’t cooked enough so it was rubbery and the lobster meat was cold–should’ve been warmed through before putting it on top of the eggs. That’s OK…lots of good coffee and smiling faces were a welcome sight the morning after a big night of drinking! The ride back to Rhode Island was a bit rough with a hangover. Next time, it’ll be 48 hours in Kennebunkport and I’ll make sure I get some rest! My friend, Lee, recently bought a second home in Kennebunk, and it was all the excuse I needed to head up there and check out the town I visited with my parents during my childhood. My trip was less about the Lithuanian Franciscan monastery my parents would make a point to visit, and more about hitting every bar and restaurant we could in a 24-hour period. I arrived at lunch time and we went straight to David’s KPT, one of three restaurants owned by chef David Turin, who owns two others in nearby Portland. I ate at the original David’s in Portland a few years ago and was not impressed, so it took a little coaxing to get me to come here. 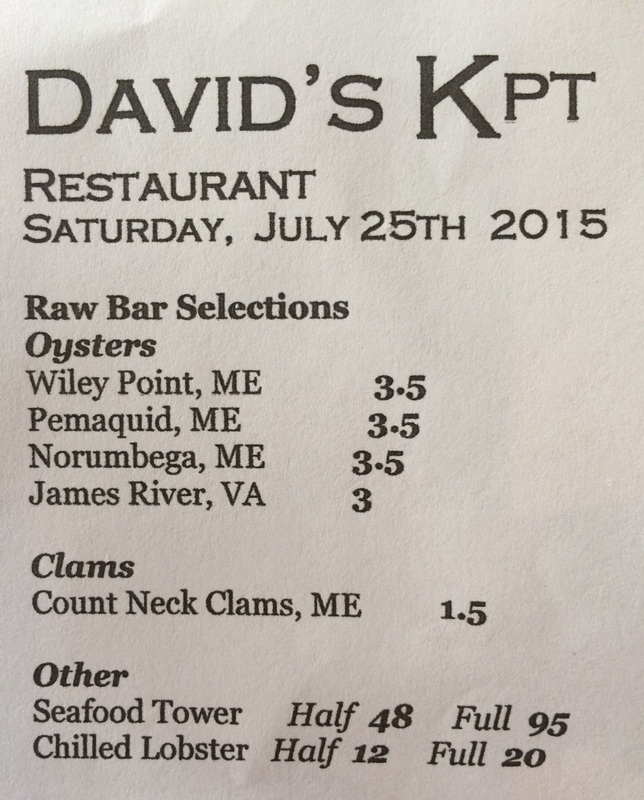 David’s KPT menu is simple, basic seafood, and for a restaurant on the water with great views, that’s about all you need. Nothing particularly creative here, just the basics, like fresh oysters and a rather bland lobster salad. Its key location also makes it a tourist trap and so they jack the prices up, so some oysters go for $3.50 each! I don’t even pay that in New York City. On the water, The Ramp is crowded and noisy, with all kinds of old posters and souvenirs on the walls and ceiling, ranging from a NYC World Trade Center subway station sign to a “Vote for Marcos” campaign poster from the Philippines. We had to put our names on a list just to sit at the bar. But that was OK…we had a cocktail while waiting. By the time we finished our drinks and were ready to leave, our turn came up at the bar, so we handed our space off to the next person in line and moved on. Clearly, the amount of drinks we had, and were still going to have, was going to be an issue, and Lee, being the driver, was behaving to avoid any trouble with the law. Police are everywhere in Kennebunk, and they are notorious for pulling you over for even the slightest infraction. So we headed back to the condo to park the car and wait for the taxi we hired for the night to take us to dinner and beyond. Portland, Maine has always been a foodie destination, but the number of consistently amazing food experiences you can have in this waterfront town has just recently exploded. When my wife and I get a chance to have a date weekend, we avoid expensive New York, by-pass the Boston traffic, and head right to Portland. 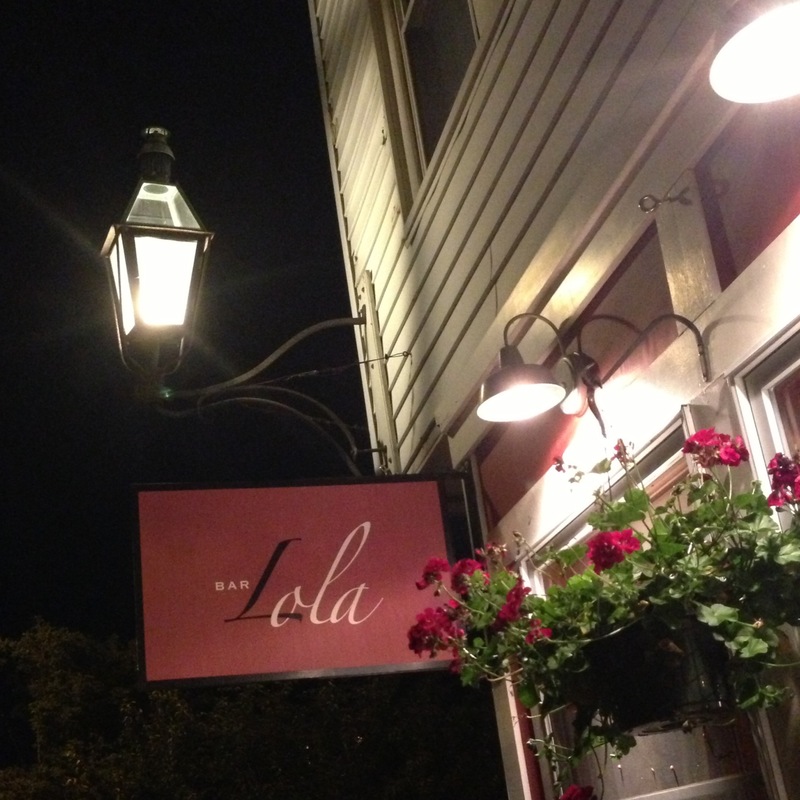 Bar Lola, a small, out-of-the-way bistro, raises the bar on fabulous food in Portland. 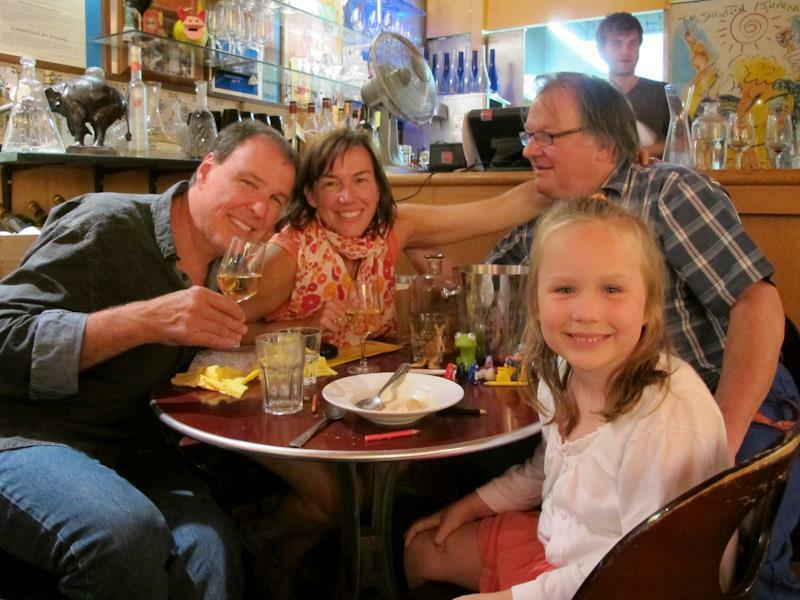 Our best food experience in Portland to date, and that includes the landmark Fore Street. Sure, it was a hot night and they didn’t have air conditioning. But the ceiling fans and window fans were on, the wonderfully inventive cocktails (“Atlantic & Congress” a personal favorite) were flowing, and the food was fantastic. Small bites, and lots of them…the kitchen cranked them out and we devoured them with pleasure. Radishes with marrow butter on a baguette…Spanish sardines…rabbit confit with frisee and tomato mostarda (I told the chef I wanted that one to be super-sized so I could just shovel it into my mouth)…a wonderful pulled pork taco special…seared steak with wheatberries and dried fruit…a delightfully tender roasted half poussin with farro, pea shoots and garlic jus. We savored it all. An not-on-the-menu bowl of pasta with butter for our daughter was not a problem for this busy kitchen. 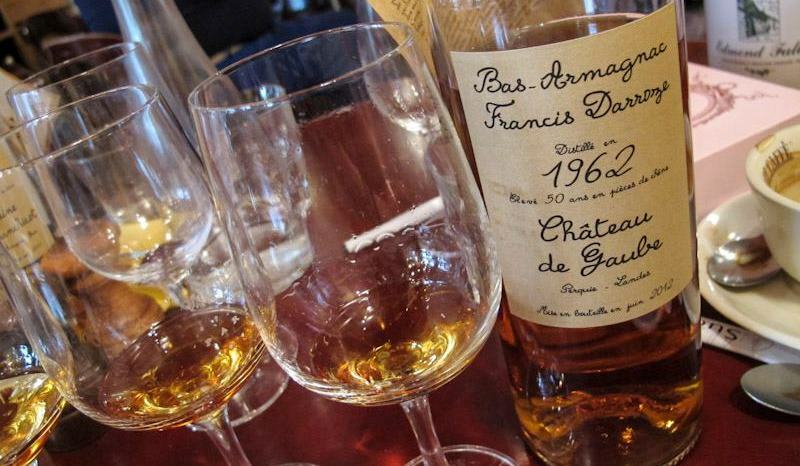 And a unique wine list was assisted by a knowledgeable staff to help with the selections. Bar Lola is a small, cool, funky out-of-the-way neighborhood restaurant. If you really are all about the food in Portland, this is where you go. 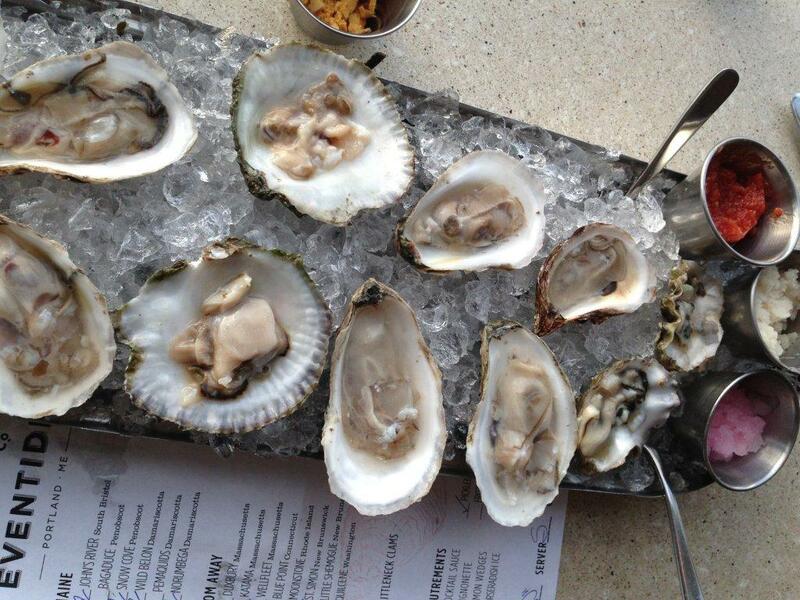 At Eventide: fresh oysters from all over the country, and fabulous small plates to go with them. Razor clams are tough to prepare properly, but they slice them and grill them to create a wonderful small plate. 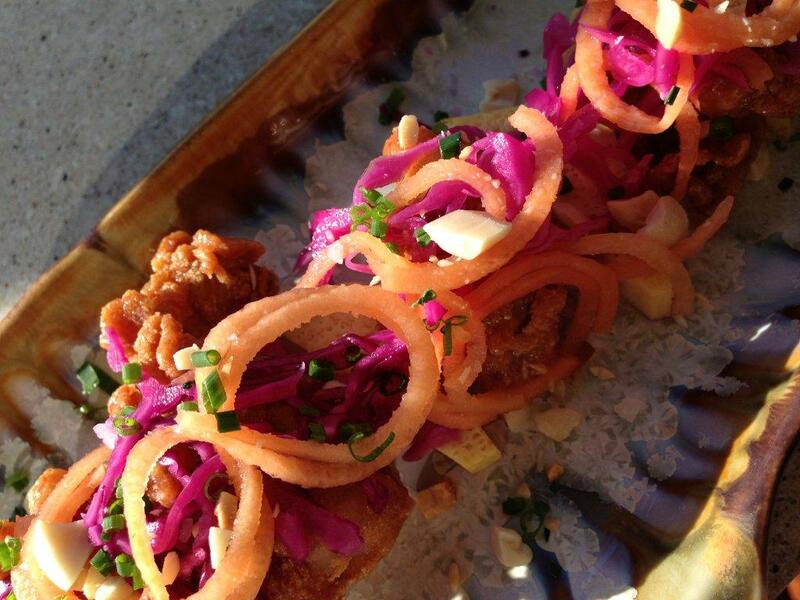 The fried oysters…the crudos (raw fish plates)…beautifully presented. The tuna deviled eggs: a home run. This is what an oyster bar should be. The staff is friendly and not jaded, despite the fact that it can get very crowded, spilling out into the street in the summertime. 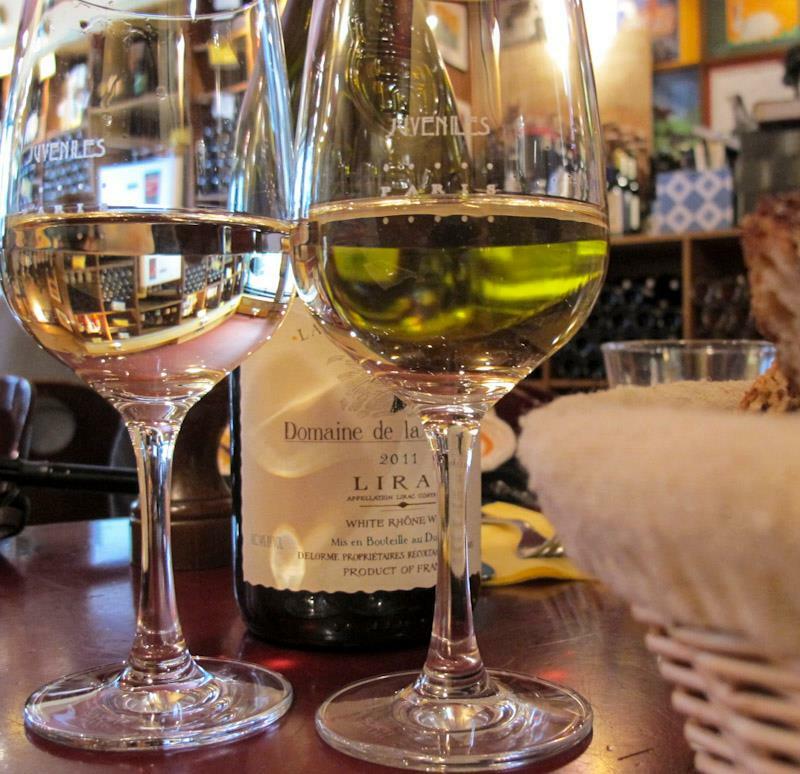 A good bar with interesting drinks and a nice choice of wines. Probably the most amazing discovery for us was Eventide’s shaved ice accompaniments for their oysters, especially the red onion, horseradish and kimche shaved ice: intense flavors that just melt in your mouth. 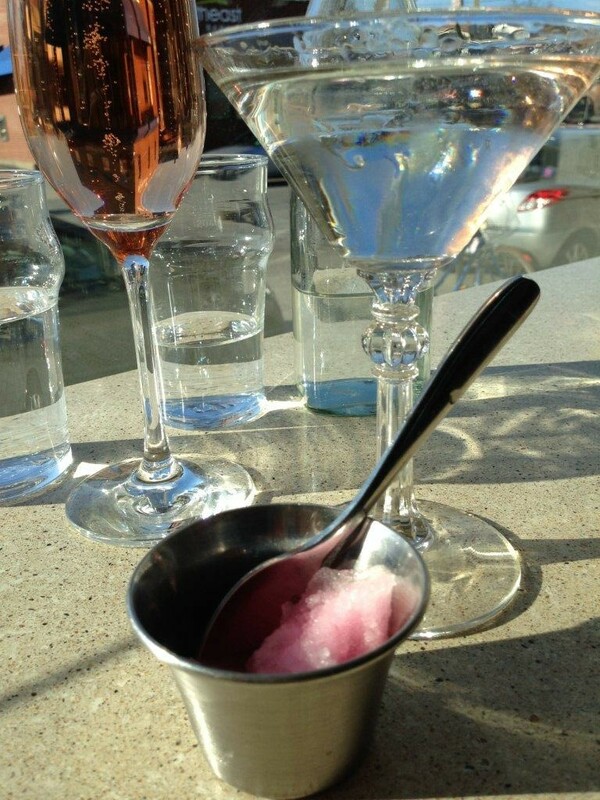 The red onion shaved ice was so good, I asked for a martini with a small bowl of it on the side. My wife and I came up with an oyster shooter: shot glass, small oyster of their choice, chilled Belvedere vodka, topped with the red onion shaved ice. WOW! You can thank me later!!! 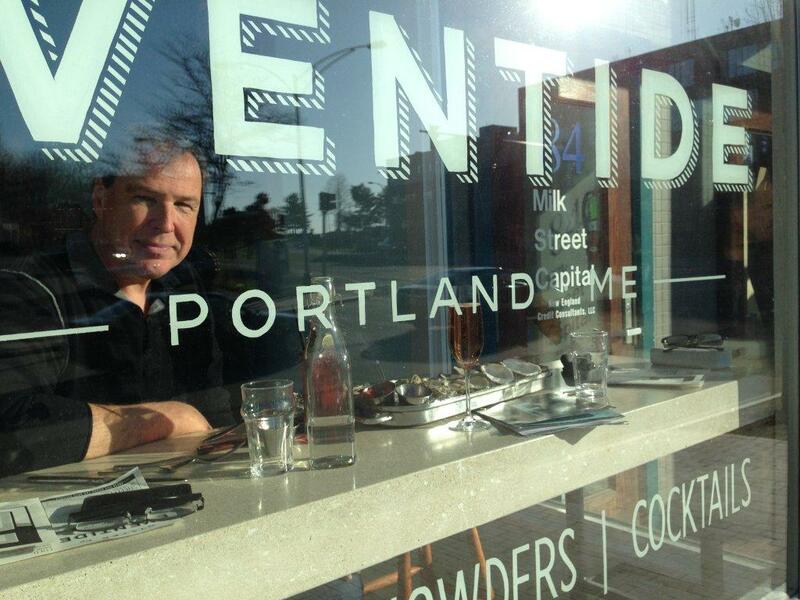 We were in Portland for 48 hours and stopped by Eventide twice. 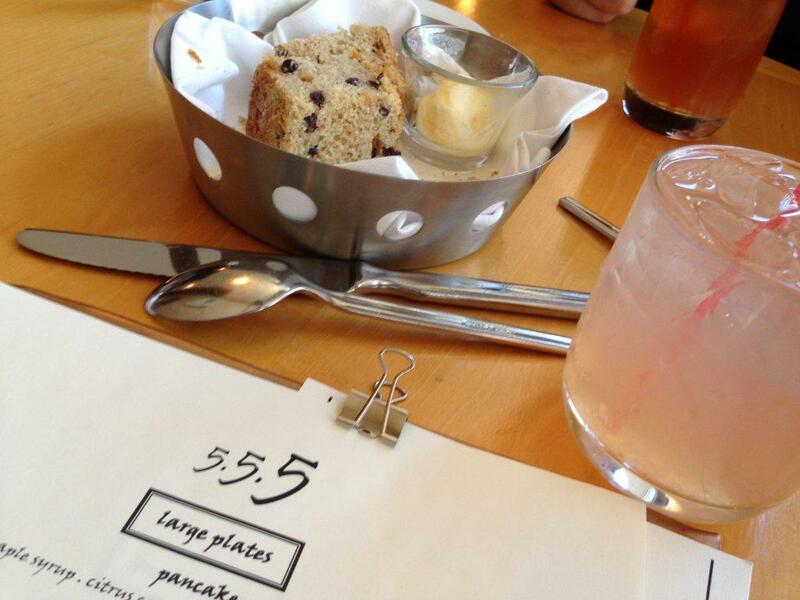 555 (Five Fifty-Five) served an excellent Sunday brunch…this coming from a guy that hates brunch. Going to a restaurant to eat eggs and drink bad champagne drinks is not my speed. But the lobster eggs Benedict was killer. 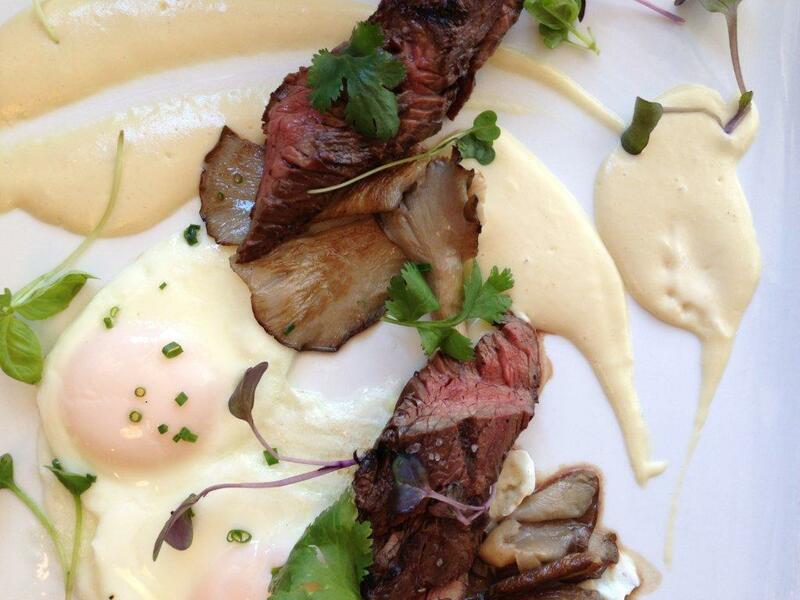 Steak and eggs featured some of the tastiest, tenderest steak I’ve had anywhere. Fresh salads with local greens. A wonderfully satisfying creamy parsnip soup. Inventive cocktails. Live music. If I’m gonna have brunch, this is where I’m gonna have it! Can’t wait to come back to try 555 out for dinner. A great find, recommended to us by several servers from other restaurants. Always a good sign. 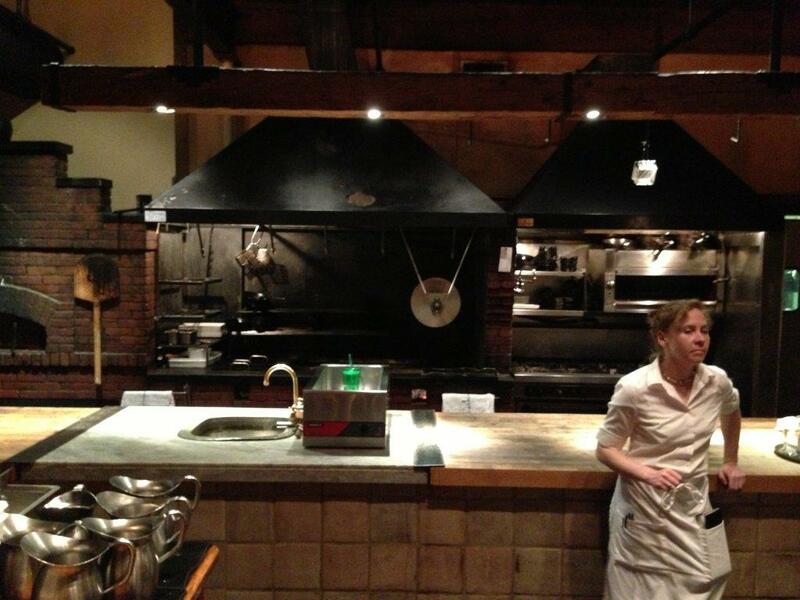 Fore Street: In some ways, this can still be considered the best restaurant in Portland. Earning great reviews and national attention year after year is not an easy accomplishment. And for the most part, Fore Street is really special. 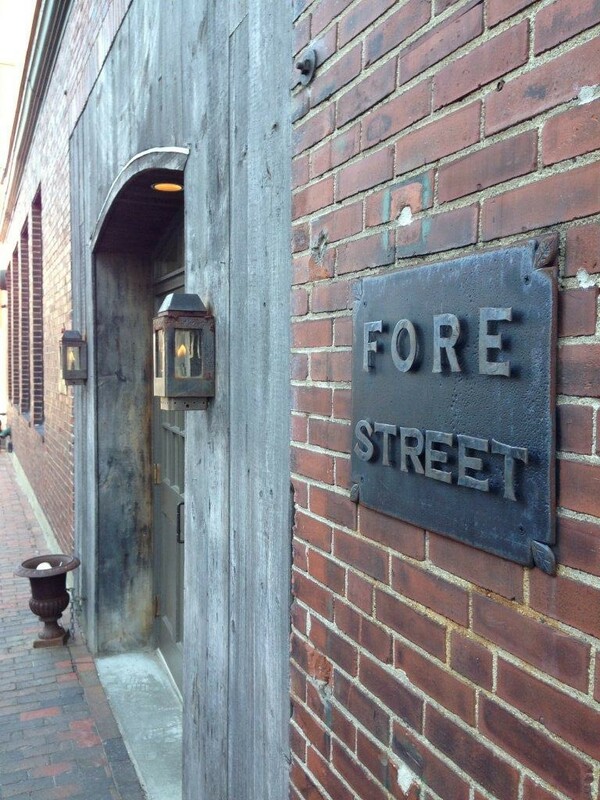 Tell anyone in the food business in Portland that you’ve got reservations at Fore Street, and they all swoon. Unusual charcuterie plates with lamb hearts, foie gras stuffed pork trotters and beef tongue: a fun trip for the adventurous, but not particularly flavorful or inspired on our visit. However, roasted quail…roasted chicken…fabulous salads with seasonal greens…ravioli with pesto…all beautifully prepared in their open kitchen. Fore Street keeps their produce local and seasonal, so I ordered an English pea and carrot salad that was at its seasonal peak. Then we ordered the ravioli: covered in English peas. Then the chicken: covered in English peas. Really? In this case, I wouldn’t mind if they brought in some veggies from out-of-town. I love peas. But I don’t need them in three separate dishes on the same night. Dropped the ball there. We stayed away from any seafood because we had gorged on it the entire weekend at Eventide! Although our Fore Street server tried to move the meal along a little faster than we were comfortable with, she got the message after a while and let us be. (It was an 8PM reservation on a Sunday night…she wasn’t going to have another seating at that table anyway.) Wine suggestions and selections were excellent, and though we took home a box of house-made chocolates, we really didn’t have room for dessert, with the exception of a refreshing espresso shaved ice. 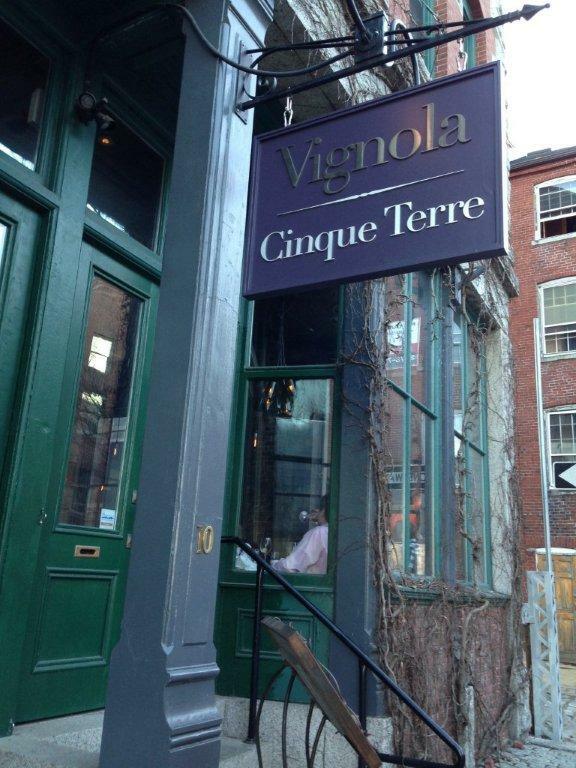 Vignola Cinque Terre was intended to be a quick stop for just a glass of wine. Several cheese plates and many cocktails later, we realized we’ve got to come back to this place to enjoy some of their authentic Italian cuisine. Some places feel sterile…this place has loads of good ju-ju. And a great selection of cheeses, by the way. 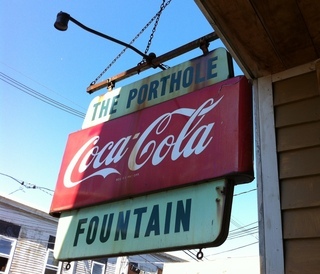 The Porthole Restaurant is a Portland classic: off the main drag, down and dirty on the dock, serving great drinks and fun food. Featured on Food Network’s “Diners, Drive-Ins and Dives.” And just when you think they’re shutting down for the night, they get ready to re-open for breakfast! 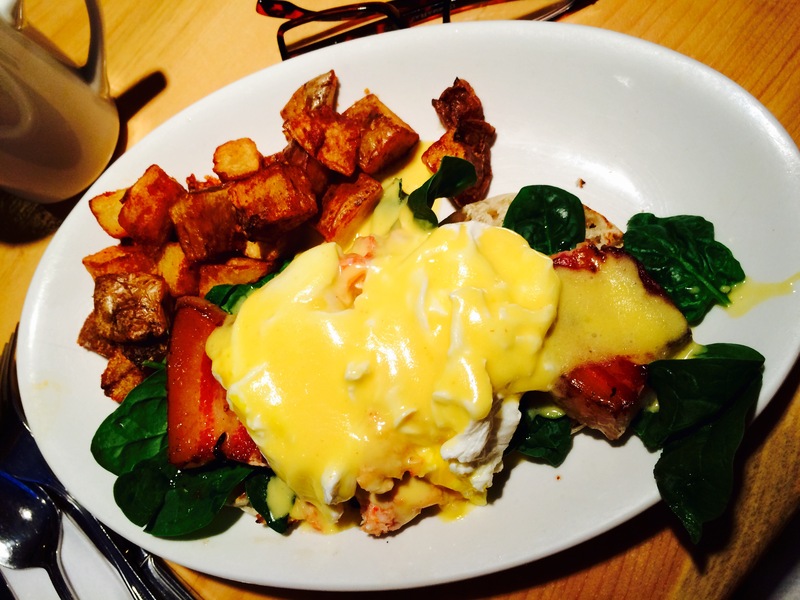 Shrimp and grits, lobster benedict…and a great Bloody Mary. What else do you need? Becky’s Diner: a classic, tight-spaced breakfast joint, extremely popular, no doubt due to a very loyal following and constant rave reviews from magazines like Esquire and Gourmet. Get ready to wait in line! 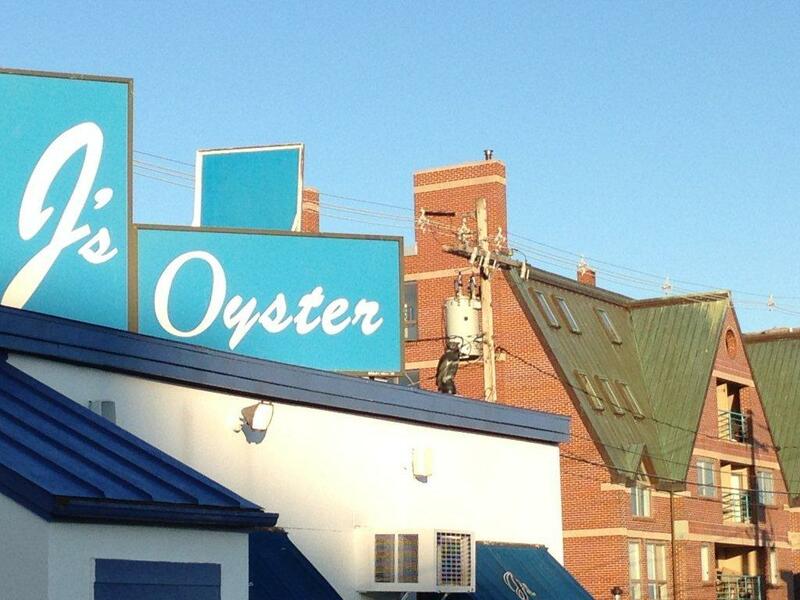 J’s Oyster: the quintessential seafood dive. J’s is a Portland legend. 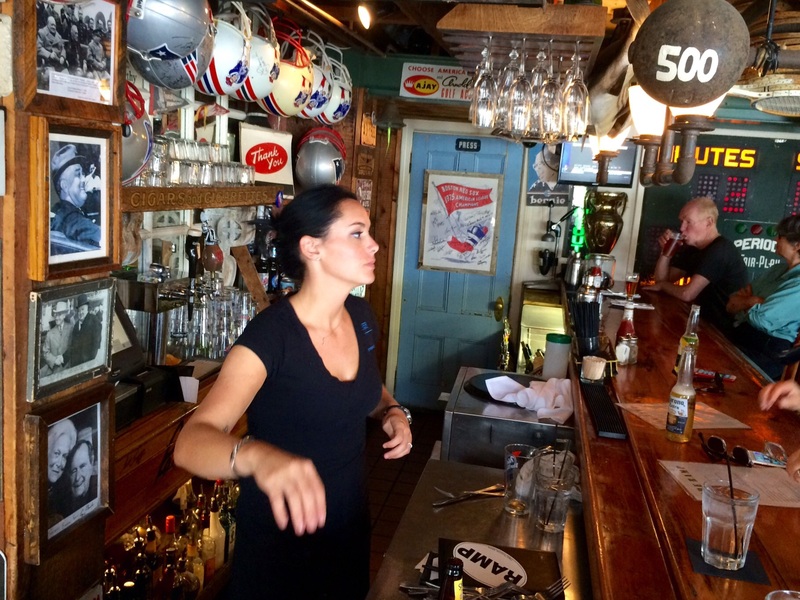 Great oysters, lobster rolls, strong drinks, sassy bartenders, crotchety locals. 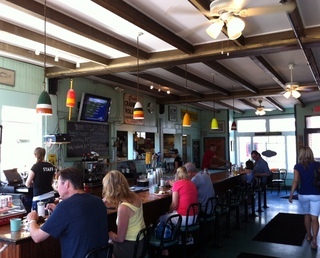 If you haven’t been to J’s, you haven’t been to Portland, Maine. Plain and simple. Infiniti, a brand spankin’ new and beautiful brew pub, serves atypically creative dishes, and they are just steps away from starting up their own distillery. It should be ready to rock on our next visit to Portland. We just popped in for a peek at the menu and the young, hip crowd that packed the place on a Saturday night. 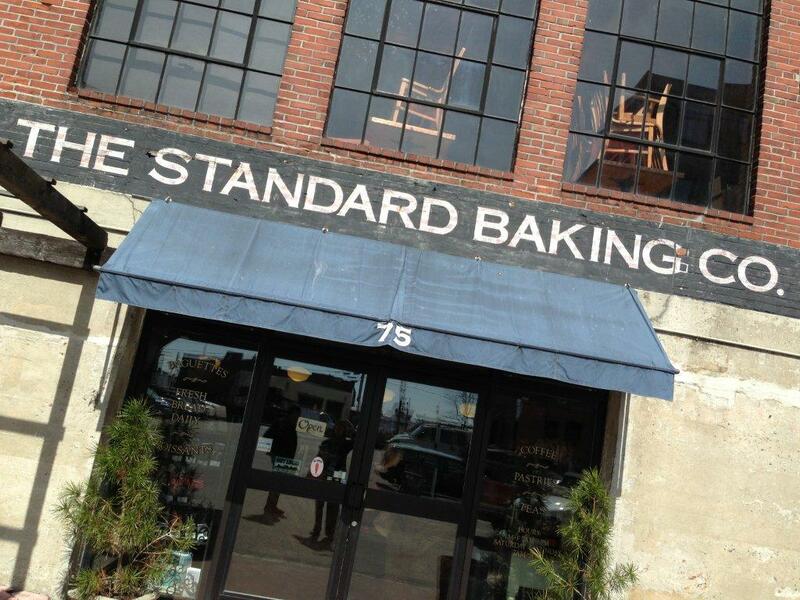 Standard Baking Co: Some of the most delicious breads in town, just steps away from the Hilton Garden Inn, where we stayed…and just under Fore Street. (They bake the bread for the restaurant.) 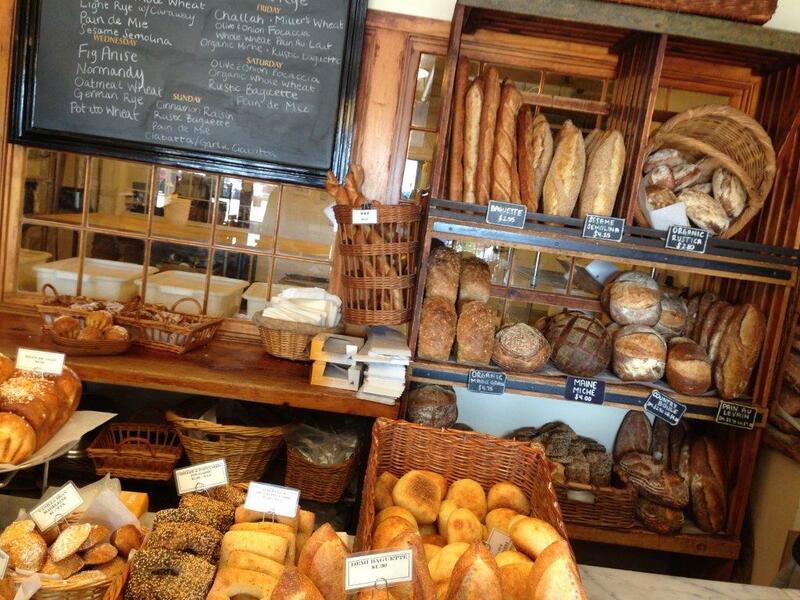 Not a lot of pastries and cakes…more of a rustic bakery. But what they’ve got is wonderful. 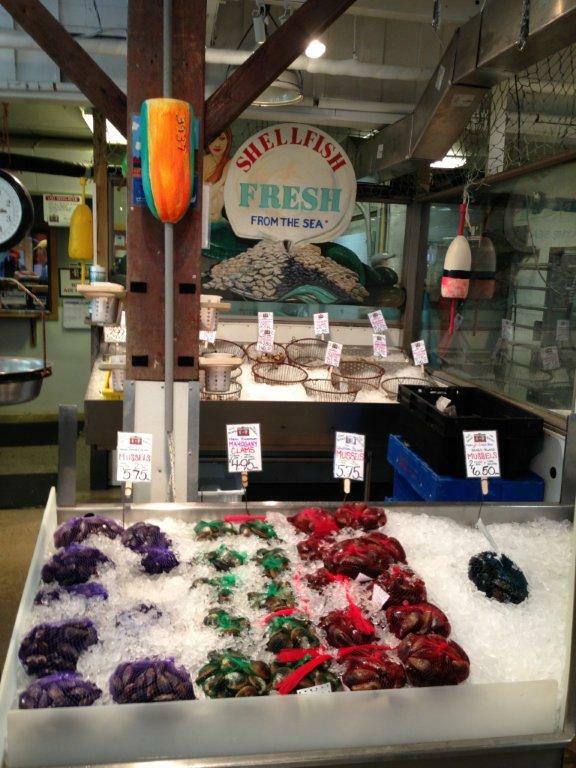 Harbor Fish Market: Bring a cooler and load up on the freshest seafood that Portland has to offer. This fish market is the real deal: Maine shrimp, Maine crab meat, lobsters, clams, oysters and a huge selection of fresh fish. We always stop here on the way home after our long Portland weekend. Order your breakfast to go right across the way at the Porthole, then come here for the seafood, and your breakfast will be ready to go by the time you’re done shopping. 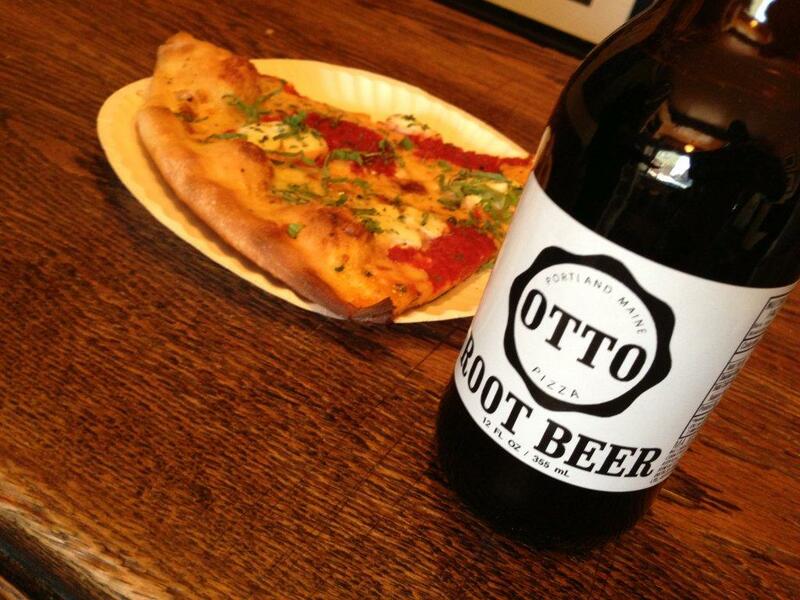 Otto has good pizza, perhaps, for Maine, but definitely not great. I give them credit for some not-so-simple toppings: potato, bacon and scallion on a pizza…pretty cool. But I really didn’t like that they had a shelf with a huge stack of already-made pizzas just sitting there, so nothing was fresh out of the oven. Everything had to be re-heated. 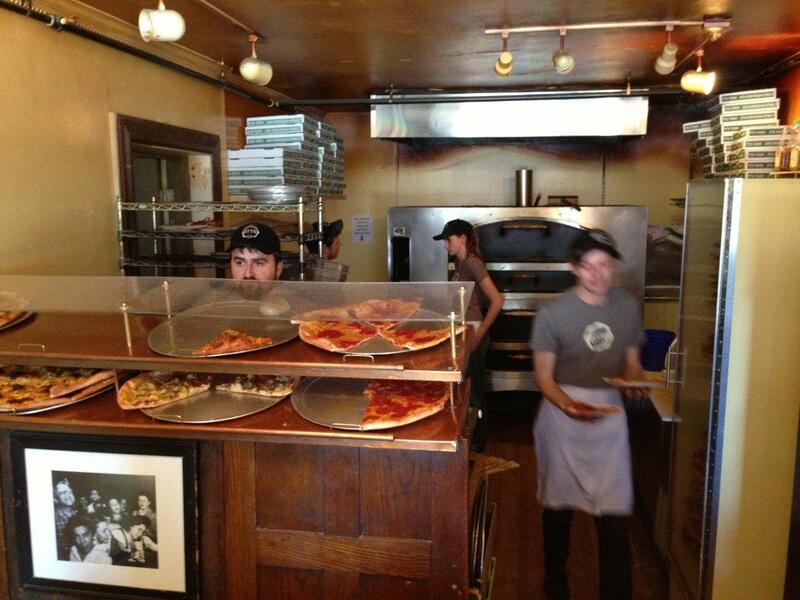 As a Brooklyn boy raised on arguably the best pizza in the USA, and as a serious home pizza maker, I was not impressed. Some personal favorites, like The Salt Exchange, have fallen from grace in recent years. A change of ownership can do that. Foodie magazines love to chatter about Duck Fat, a small establishment that became famous for serving up french fries cooked in duck fat. The fries are good, not great, and the other dishes I’ve had there didn’t impress me. Same goes for anything with the name David’s in the title. 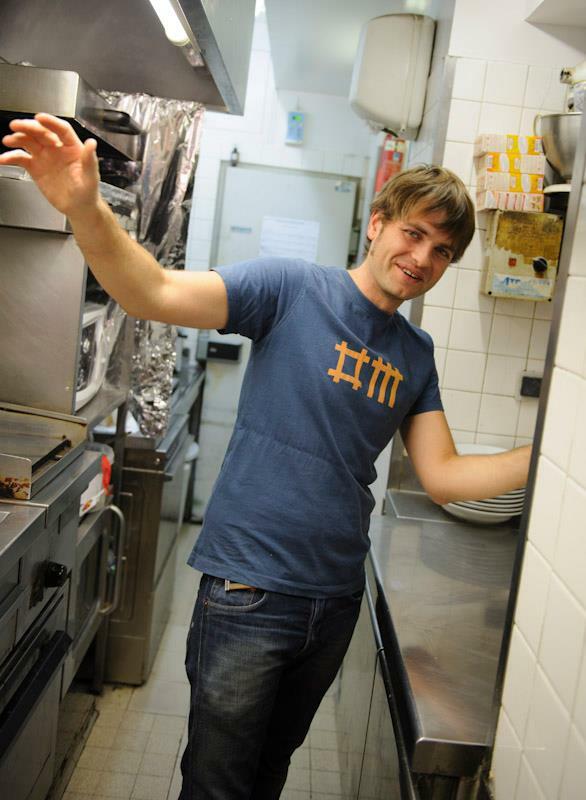 Chef David Turin is a local legend, and quite frankly, I don’t know why. 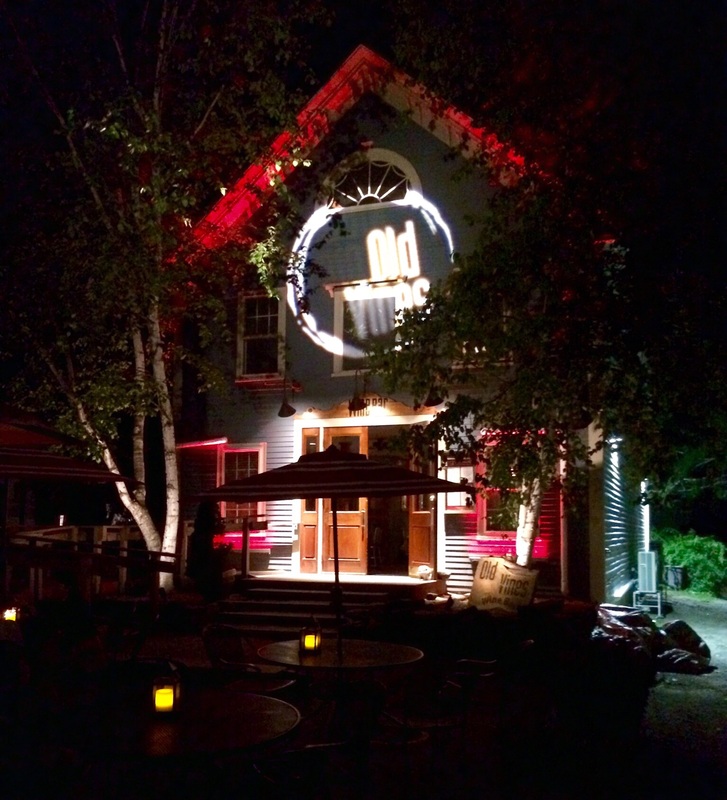 David’s was the most hyped and most disappointing dining experience we’ve had in Portland. We don’t look for 5-star accommodations when we’re in Portland. We look for clean and close to the water. Hilton Garden Inn: If we have a choice of where to stay in Portland, this is without a doubt our #1 pick. You cannot beat its location right on the Portland waterfront. Doesn’t hurt that the rooms are clean and the staff is friendly. Hampton Inn Portland Downtown Waterfront: not really waterfront…a couple of blocks away. But it’s close enough, it’s relatively new and clean, and it’s another good option. Holiday Inn Portland By the Bay: It’s easy to walk anywhere in downtown Portland, so this hotel, though not on the waterfront, is fine. The rooms are clean–though we did have to call housekeeping to change the sheets on the fold-out couch–they were pretty nasty. But we don’t come to Portland to live in our hotel room. Beds are comfortable, there’s room service for breakfast, and most importantly: a hotel shuttle that means you can drink without driving. I could be wrong, but it looks like a new Holiday Inn is being built along the waterfront at this moment. Worth keeping an eye on.